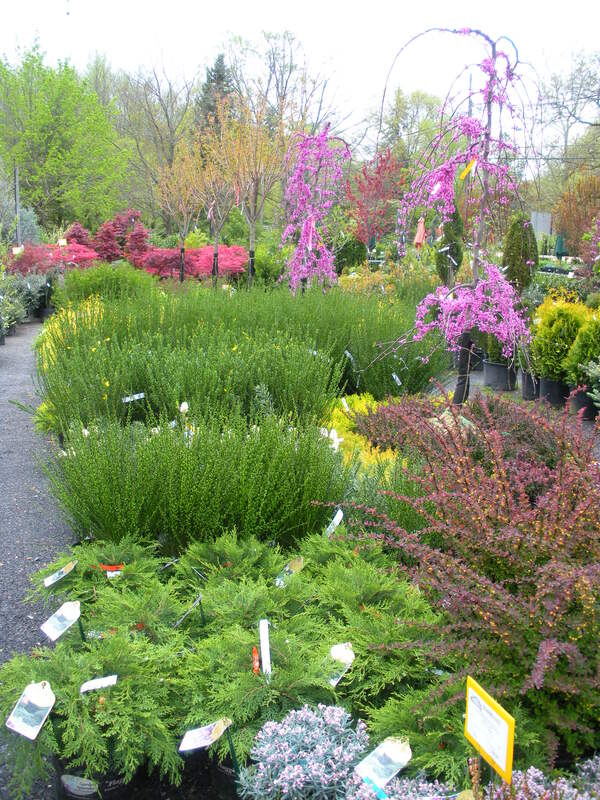 With thousands of trees in stock from April through November, we have the largest selection of the highest quality plants in the area! 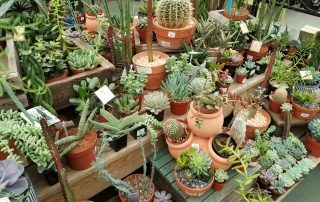 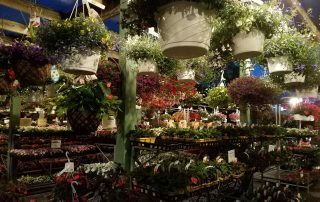 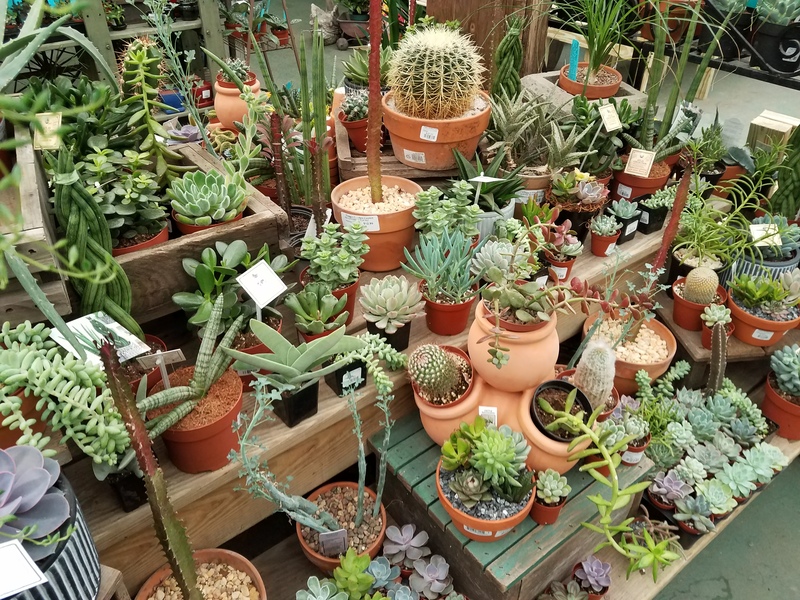 Unique & hard-to-find varieties are always in stock, but if we don’t have what you want, we’ll order it for you at no extra charge! 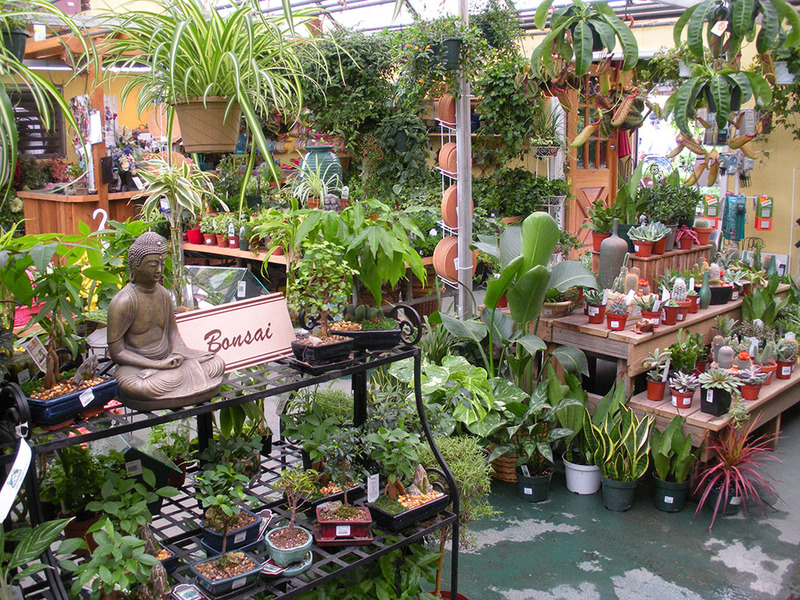 Having trouble with diseases or insects? 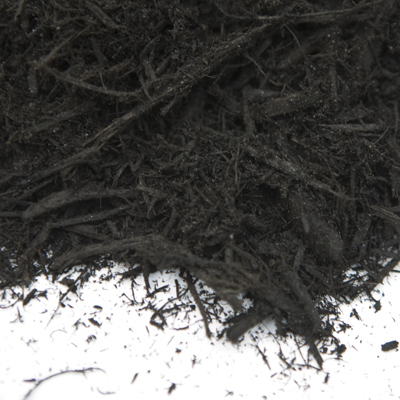 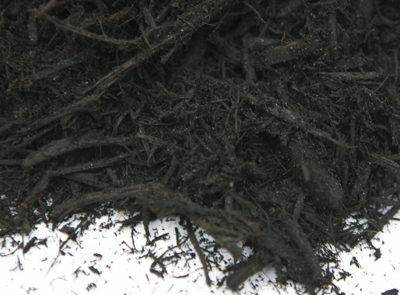 Simply bring in a sample, we’ll diagnose the problem and show you how to treat it! 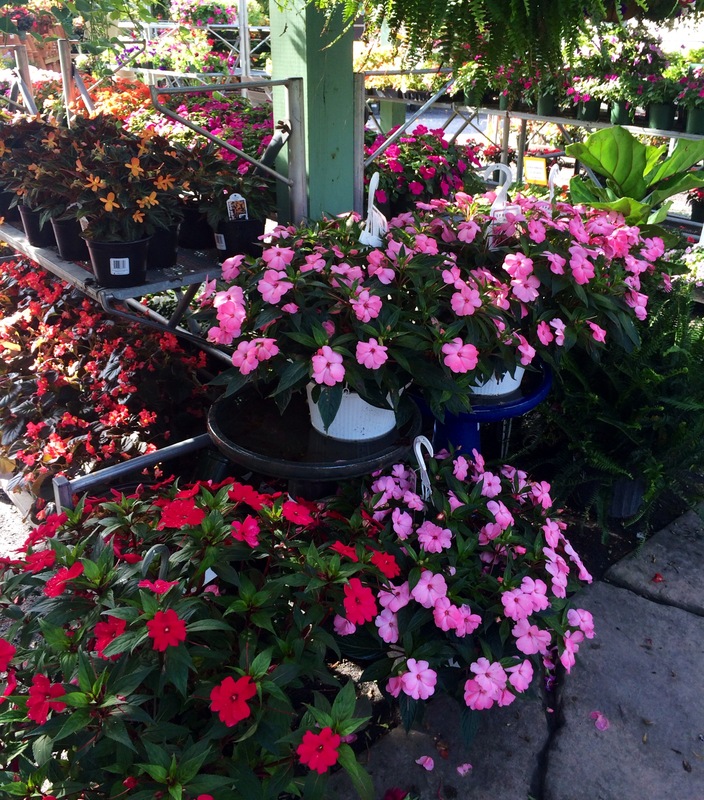 Our trained & knowledgeable staff will be happy to help with your plant needs. 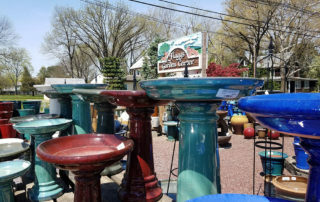 Call, email, or stop in with any of your questions! 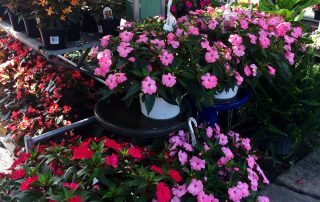 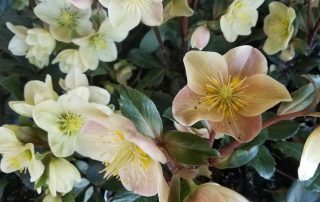 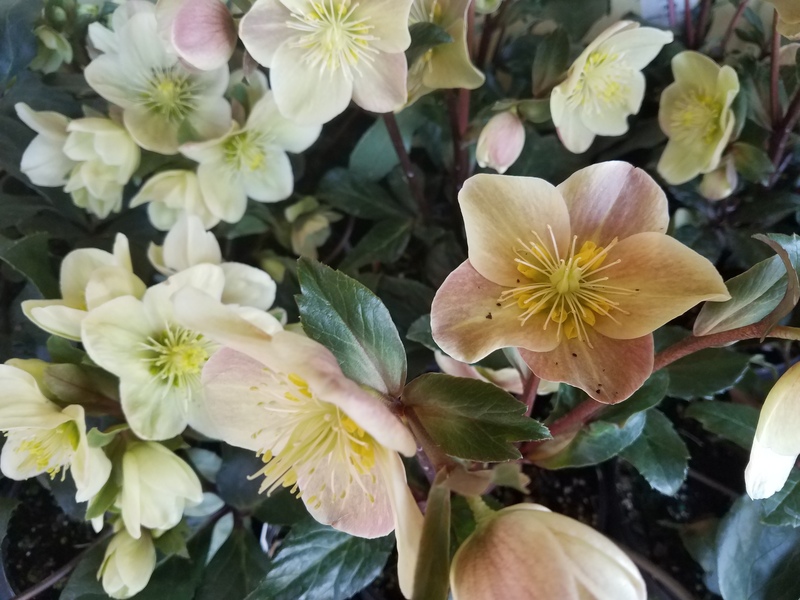 Add color and personality to your landscape & home all season with our large selection of annuals, houseplants and patio plants. 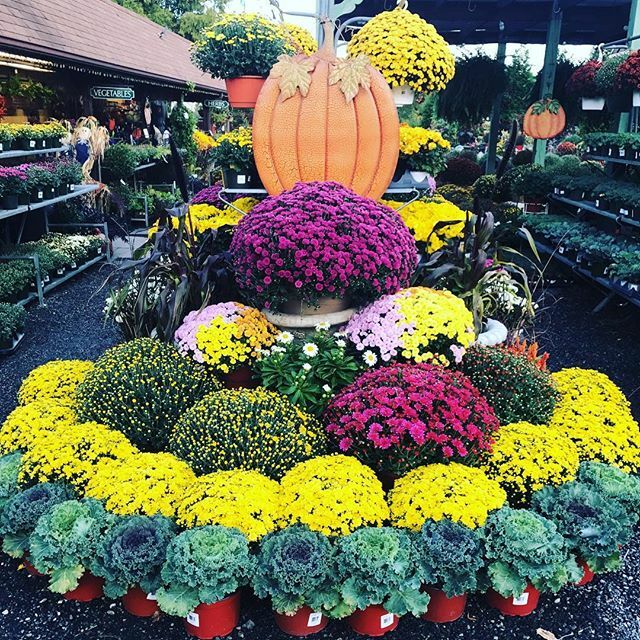 Color doesn’t have to stop when the Summer ends! 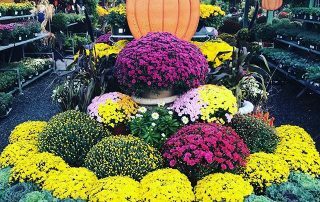 Come in for mums, pansies, cabbage, kale & poinsettias September through December! 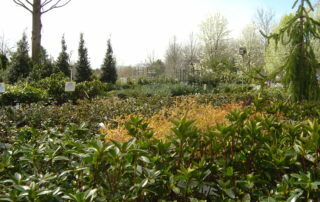 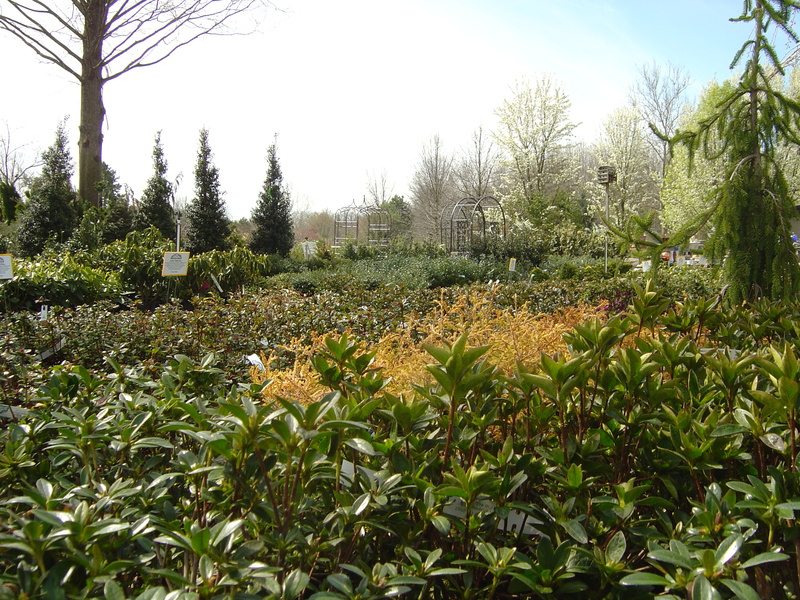 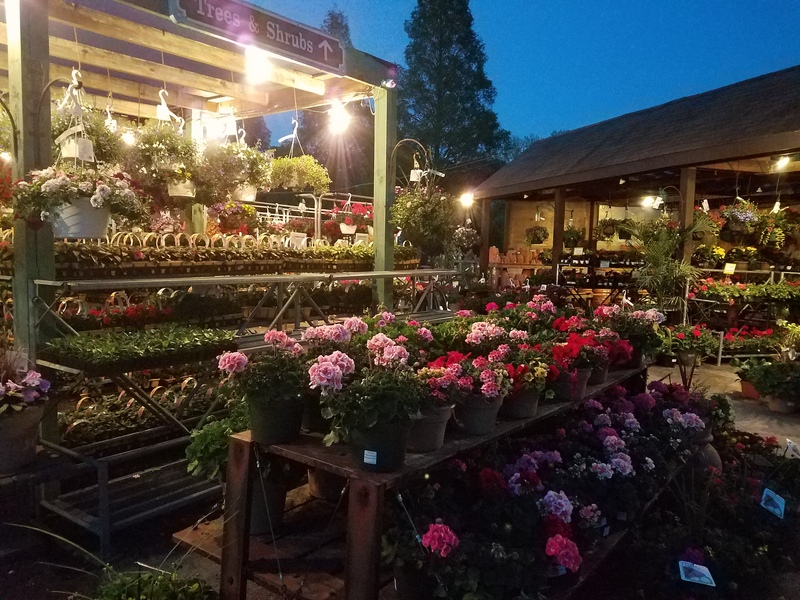 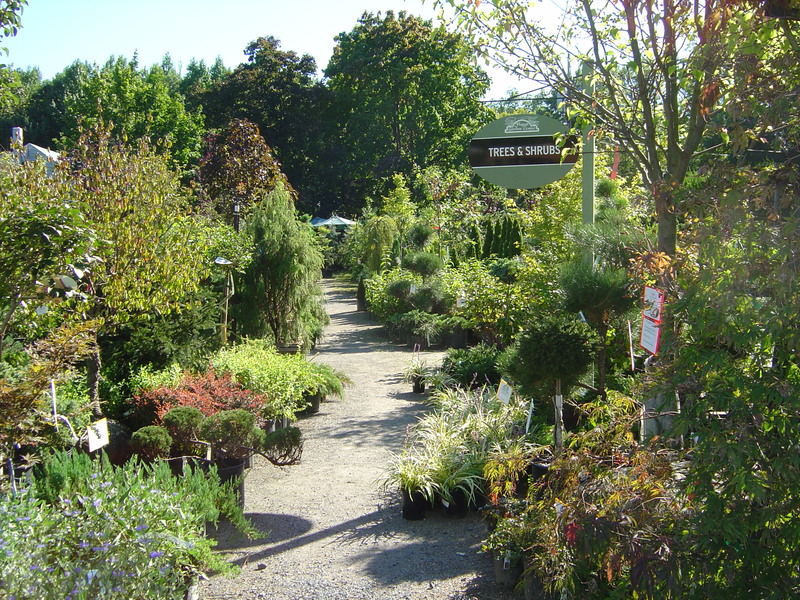 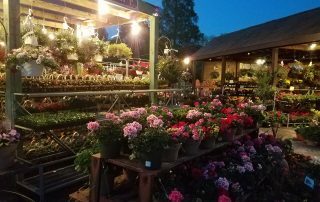 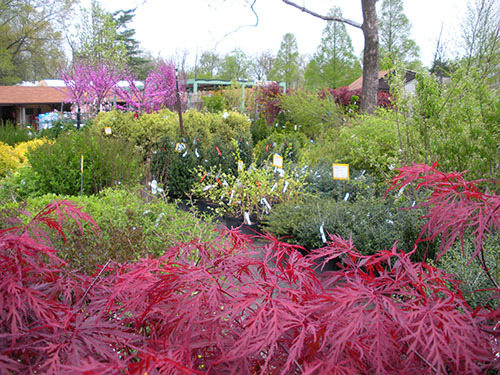 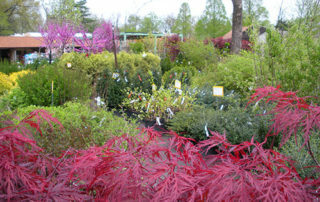 We carry over 40,000 perennials & roses throughout the spring and summer seasons. 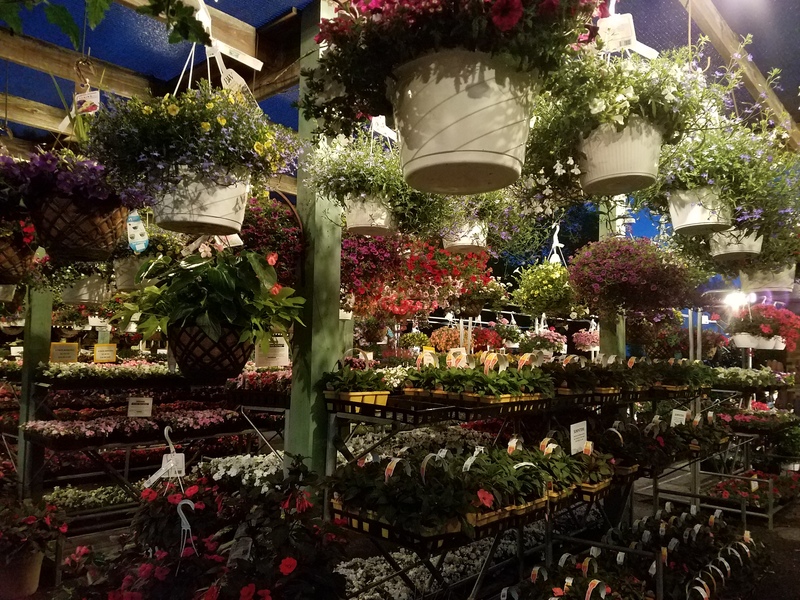 Flagg’s is your one-stop destination for hard-to-find, unusual, and everyday varieties! 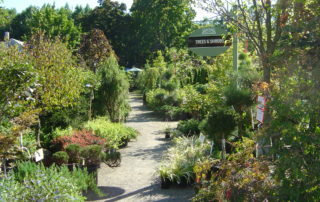 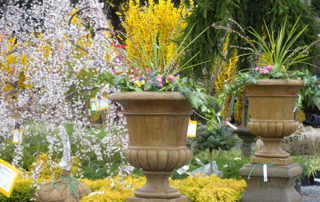 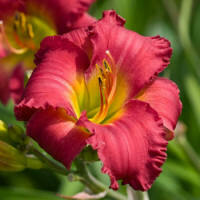 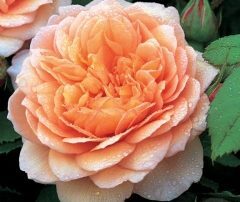 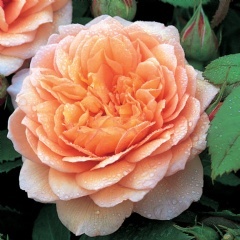 We carry the exclusive line of Garden Splendor® perennials and woody plants & David Austin roses. 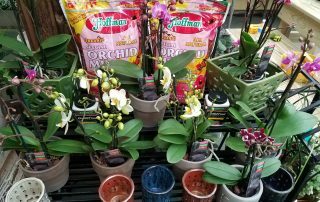 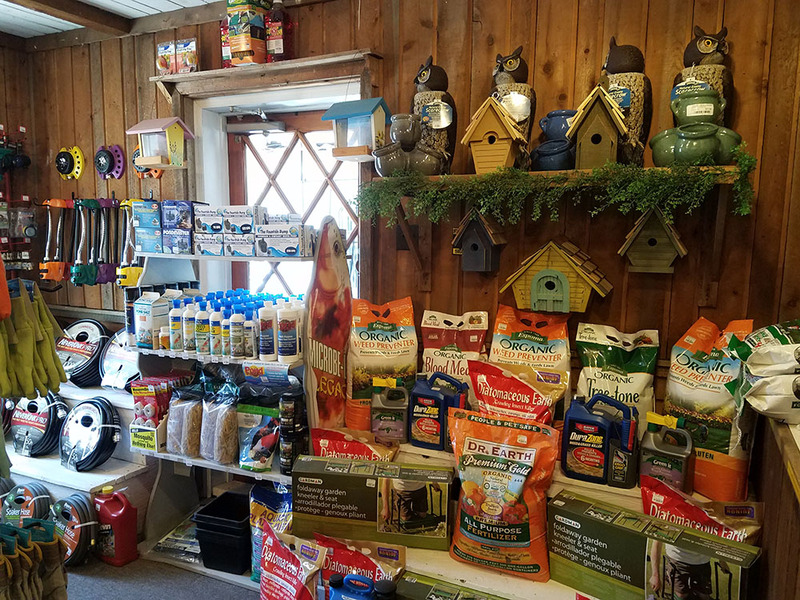 Come see what we have in store for your garden! 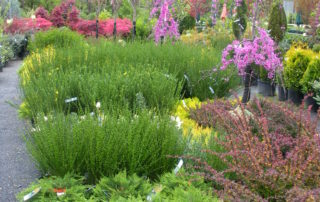 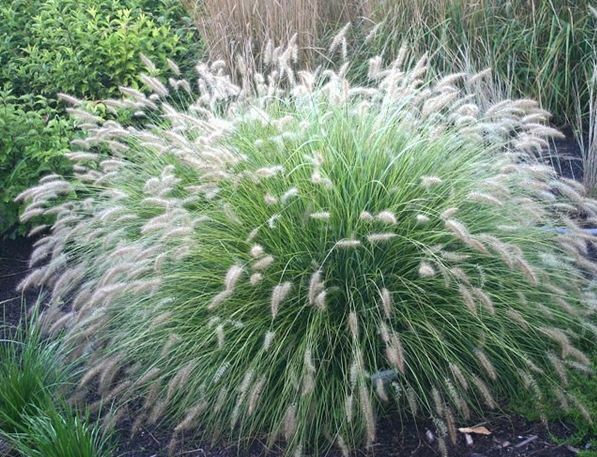 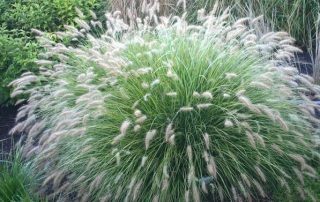 Click here for perennial garden ideas and information. 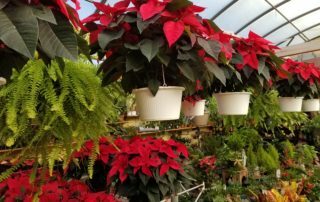 Bumper Crop Soil Amendment – Approved for organic gardeners! 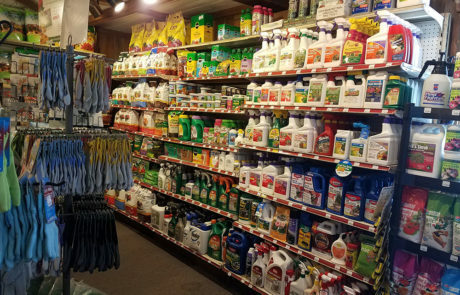 Formulated for vegetable crops, flower beds, lawns & all general garden use. 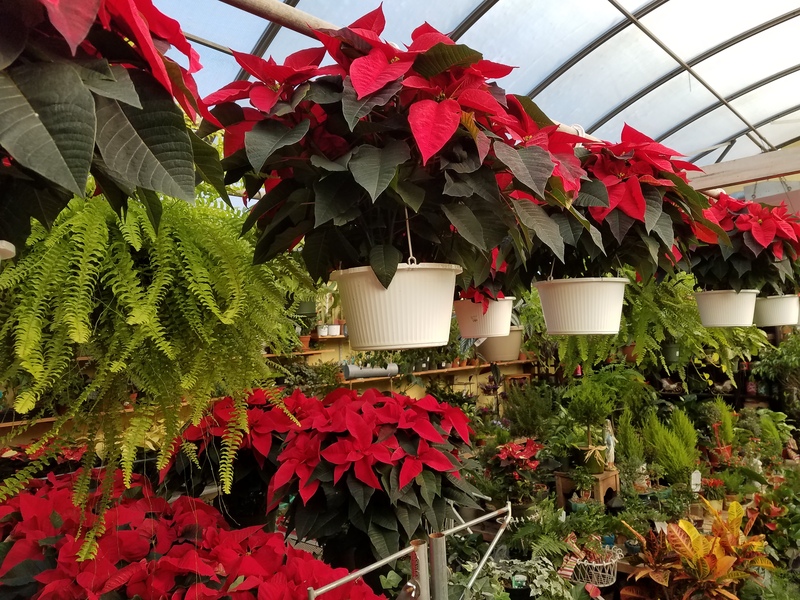 Exclusive to Flagg’s Garden Center. 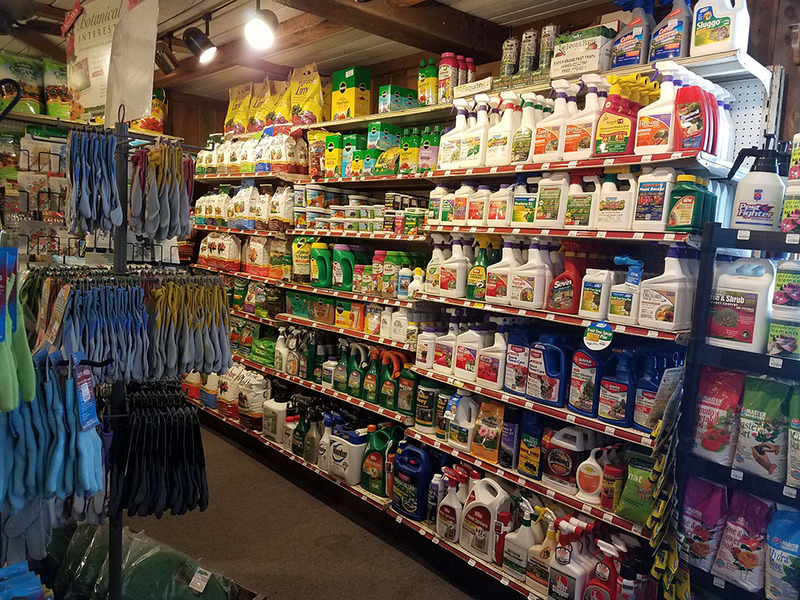 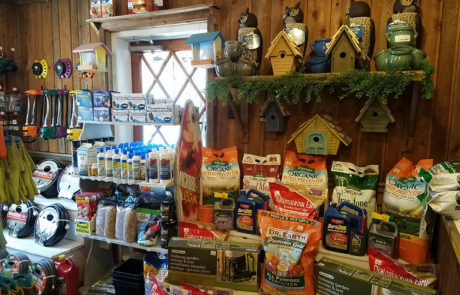 We also have a wide selection of Scott’s Lawn Products, Miracle Gro, Lyric Bird Seed, Jonathan Green Grass Seed, Bayer Fungicides & Insecticides, & the full line of Ortho Products. 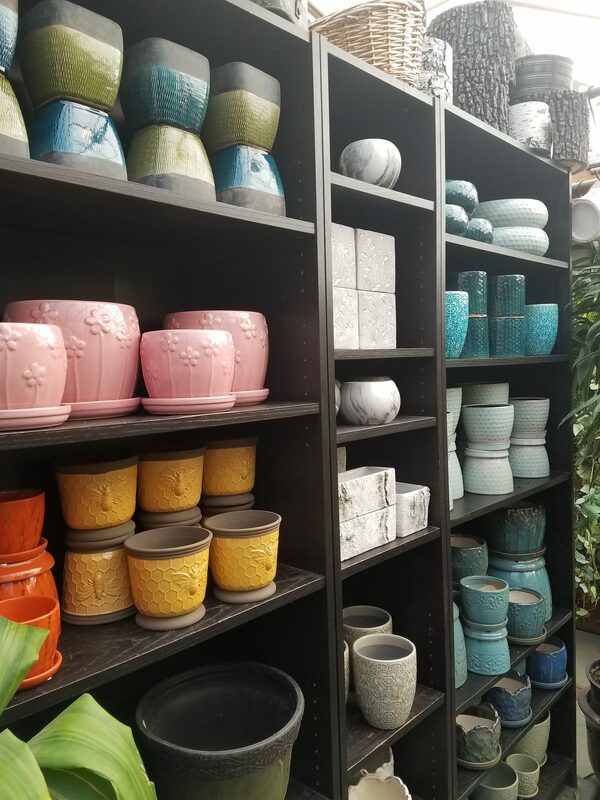 If you want a container garden, we have just what you need! 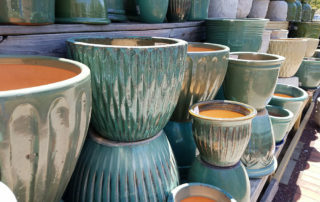 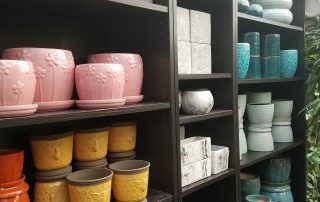 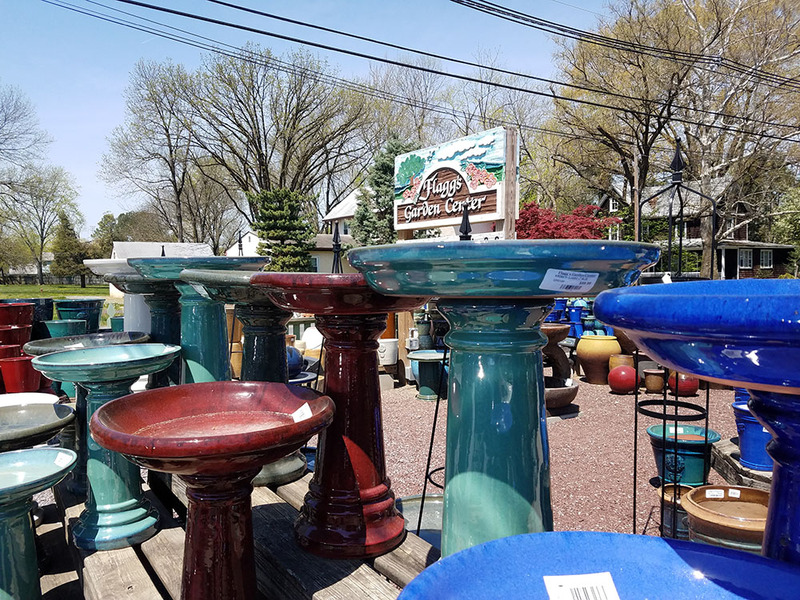 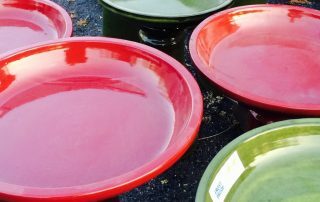 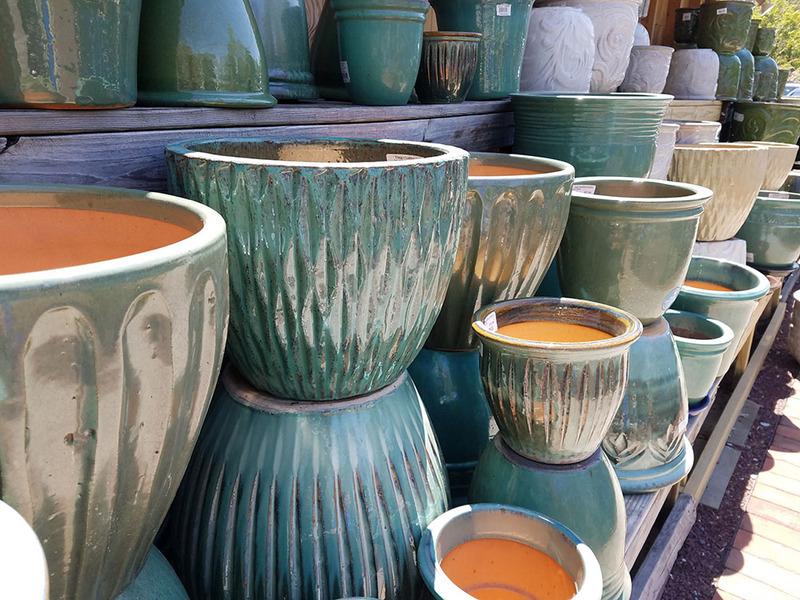 You’ll find hundreds of pots in all sizes and colors made from terra cotta, glazed ceramic, concrete, and plastic. 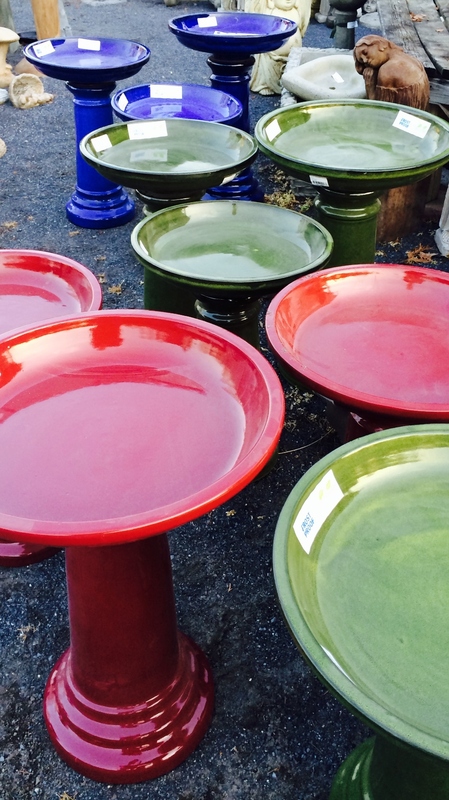 We also carry cast iron urns, fire pits, and select lawn furniture pieces. 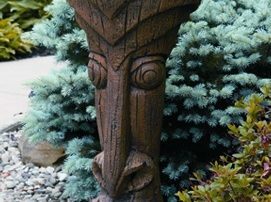 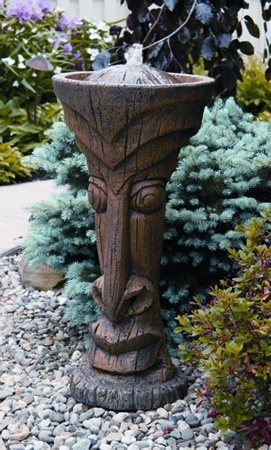 Every garden needs some personality, and the right lawn ornament is the perfect addition. 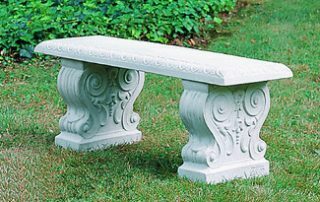 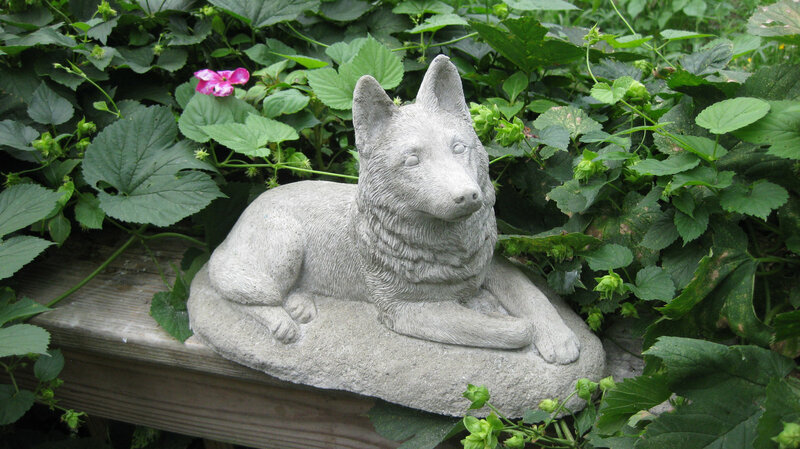 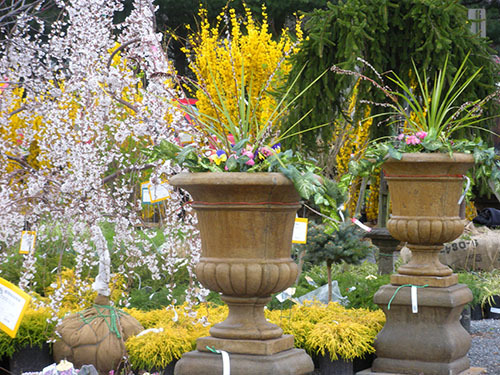 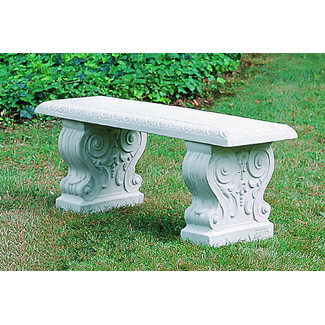 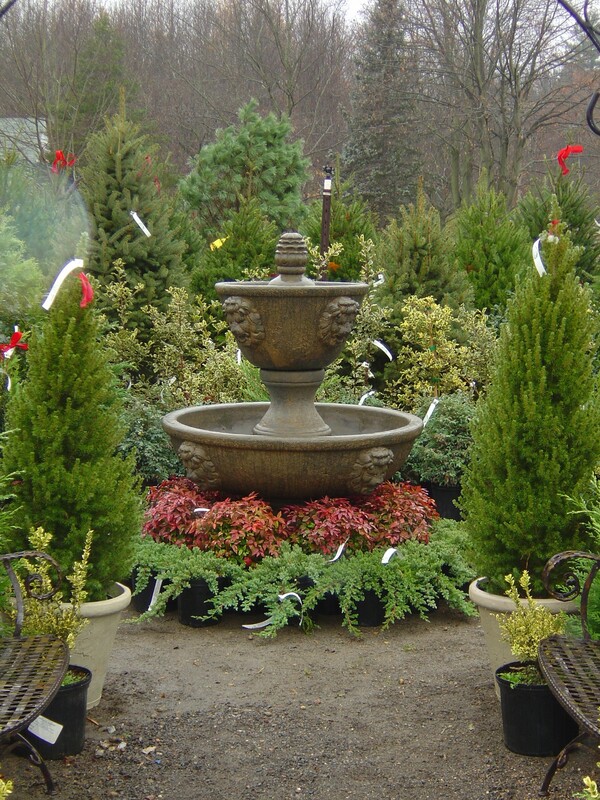 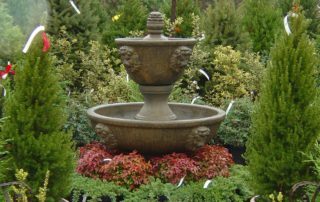 Choose from a large array of statuary, fountains, garden stakes, & decorative accents. 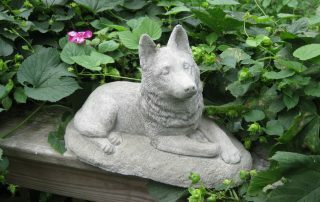 Take advantage of our special order option, and you can customize the color and size of your garden decoration. 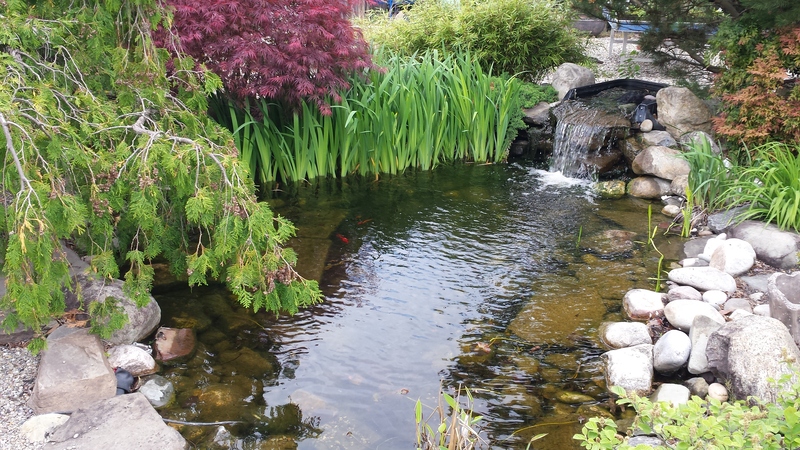 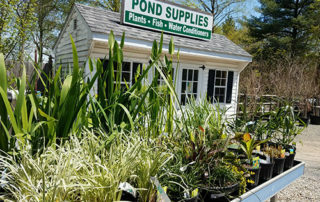 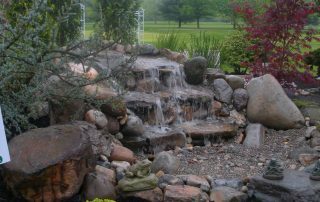 All you need for a pond or water feature can be found in our new and improved Aquatic Gardening store. 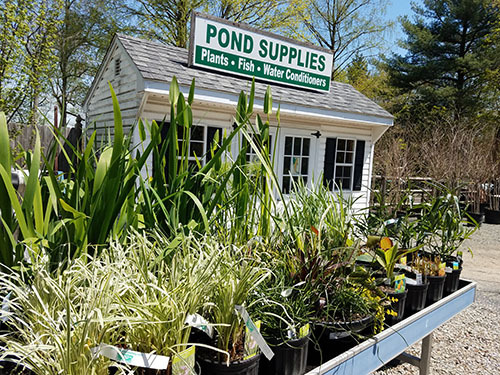 Water treatments, filters, pumps, filters, fish, aquatic plants, and so much more are in stock from April through October. 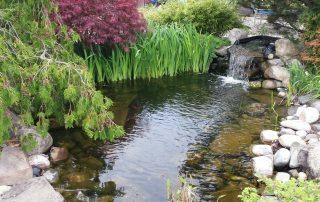 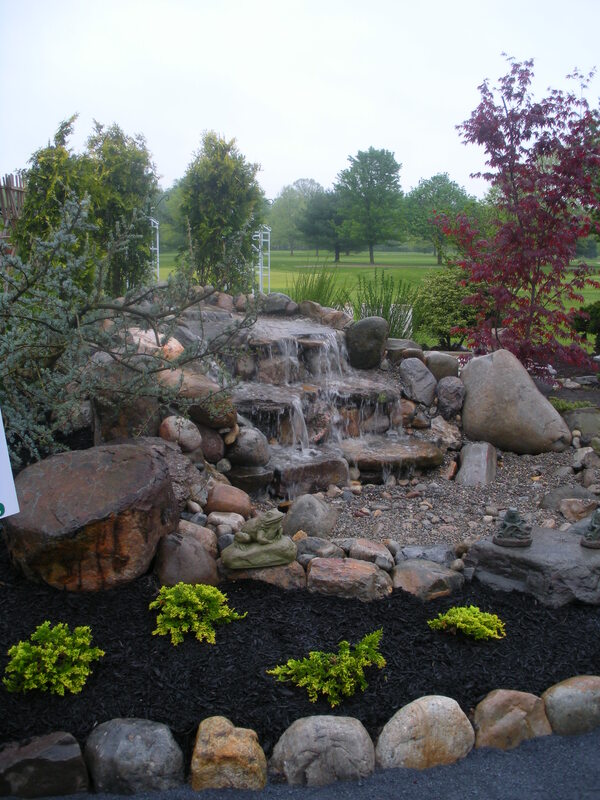 We offer expert advice on how to maintain or begin your water garden. 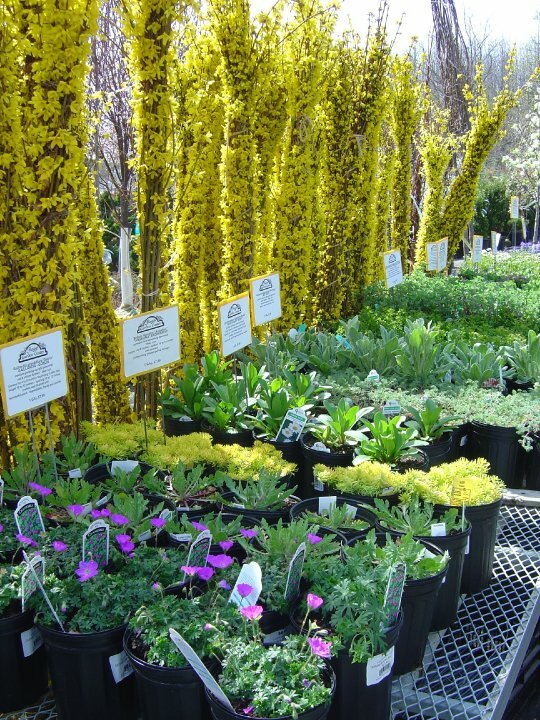 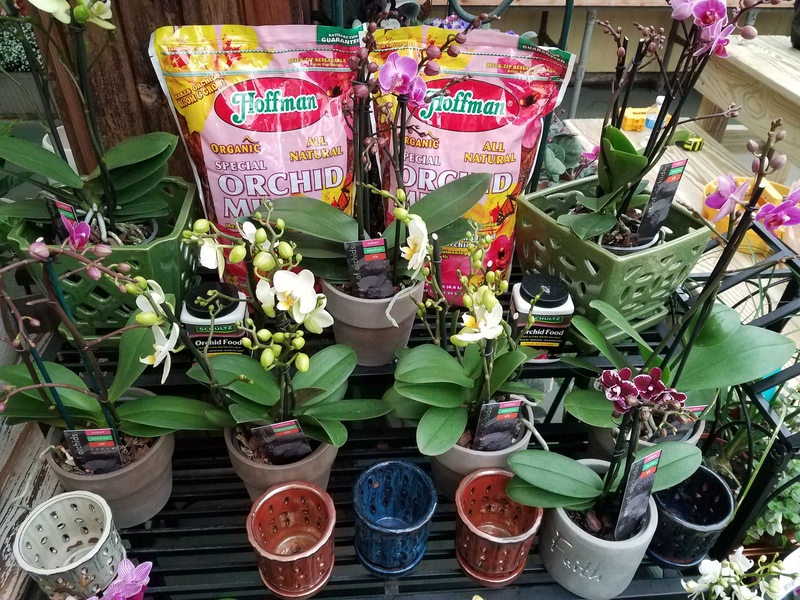 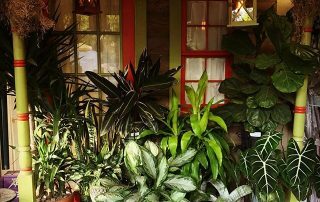 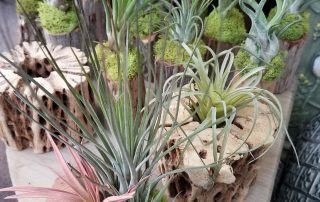 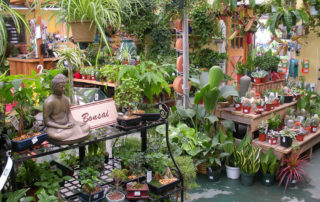 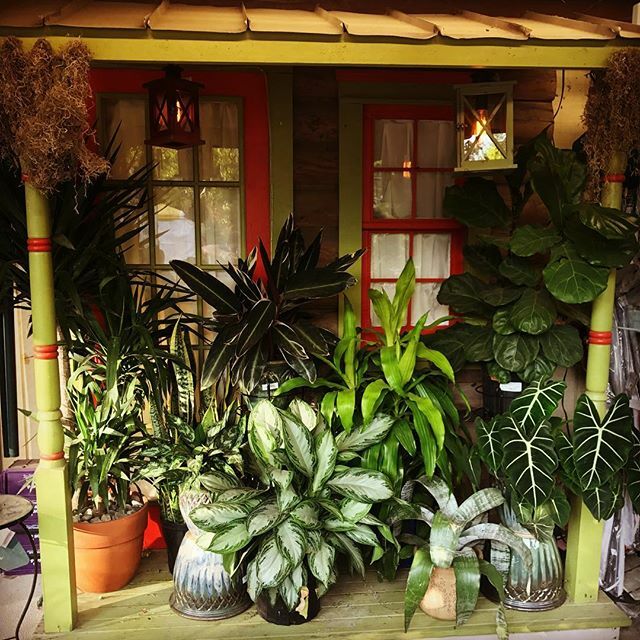 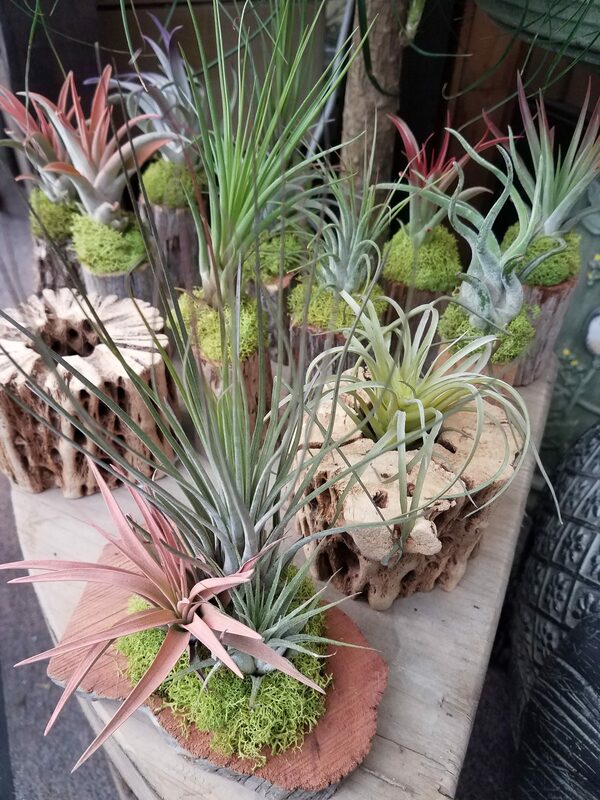 Purchase plants now at Shop Monrovia and have them delivered to Flagg’s at no extra charge! 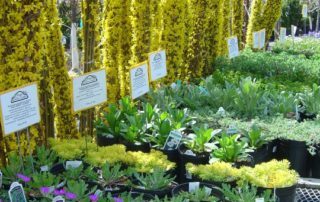 Top-quality plants of your choosing will arrive at our store, and we’ll contact you to arrange pickup or delivery – it’s that simple!